Home / 4. 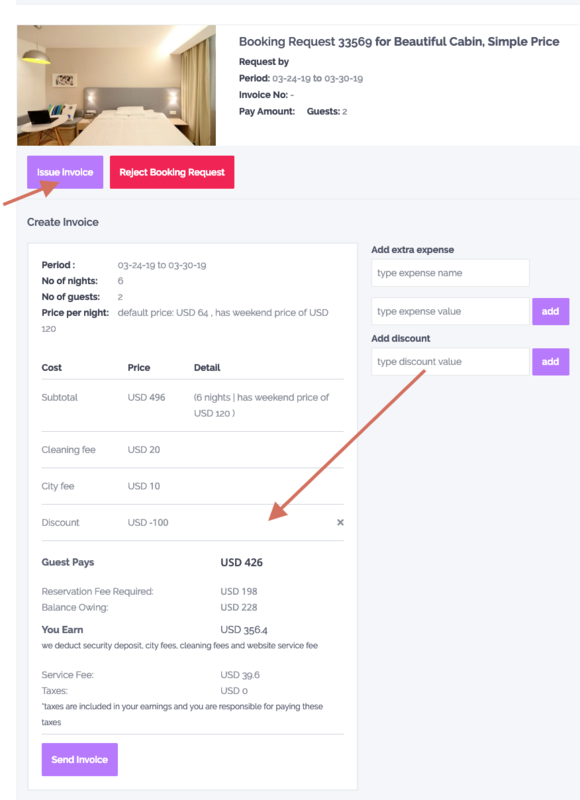 How Booking Works / How to add manual discount when issuing an invoice. How to add custom elements to an invoice. 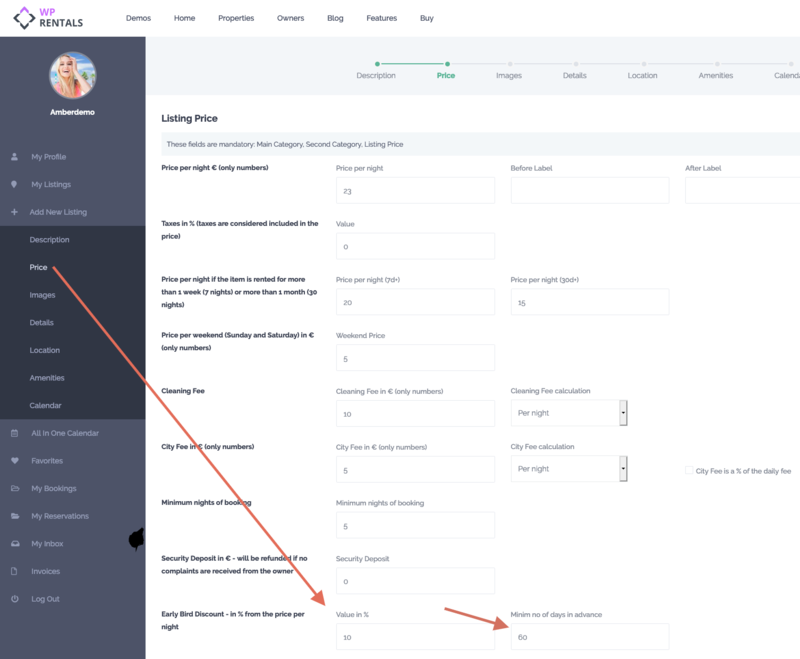 How to add manual discount when issuing an invoice. How to add custom elements to an invoice. 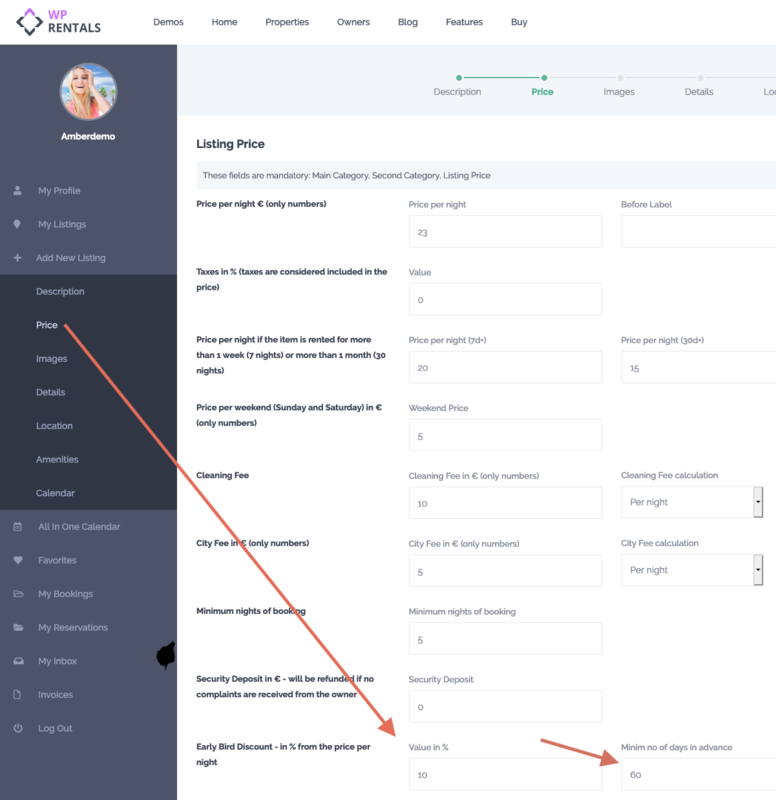 As a property owner, there is the possibility to manually add a discount to total invoice, as well as adding custom invoice elements. Each owner can enable EARLY BIRD DISCOUNT for each property by selecting the value of discount and the number of days in advance. 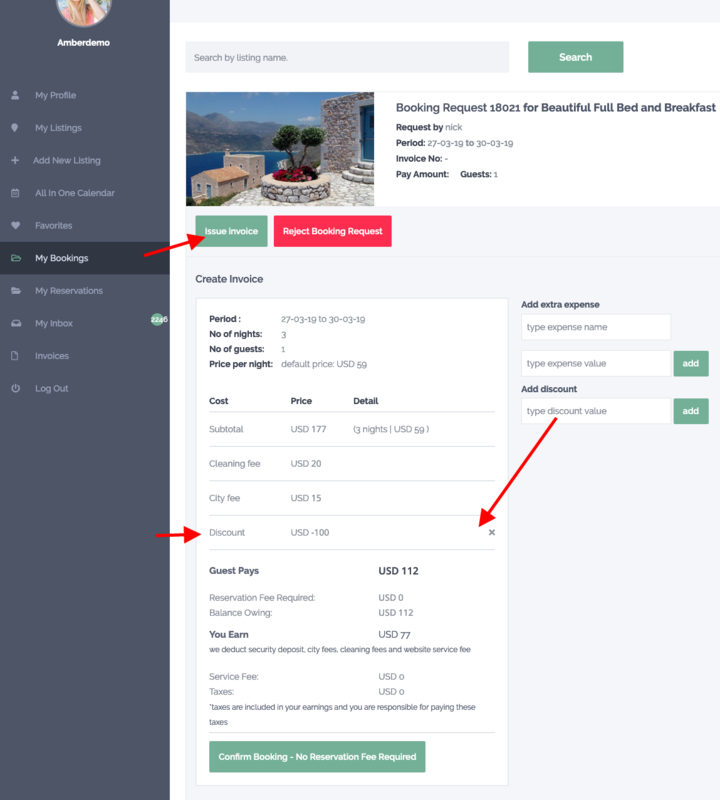 In below example: owner gives a 10% discount if bookings are made 60 days in advance.